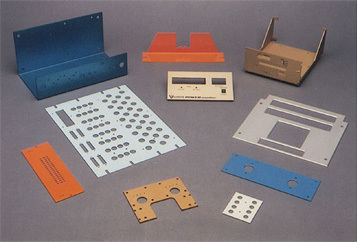 With the use of a CNC punch press and a Cincinnati press brake Welk-ko can make any custom bracket or plate. Aluminum, stainless steel, and hot rolled steel are all options for these custom parts. With two paint booths in house, Welk-ko can paint these parts any color that is requested.